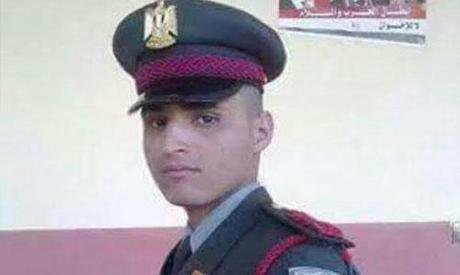 A third military cadet was announced dead on Saturday evening following an attack last week in the Nile Delta city of Kafr El-Sheikh, Al-Ahram Arabic news website reported. The bomb attack had killed two military academy students last Wednesday and injured six other civilians. The explosion went off as they waited at a soccer stadium for a school bus to transport them to Cairo. Ismail Mahmoud, a third-year student at the academy, succumbed to his injuries in the Military Hospital in Maadi, Cairo. Meanwhile, police are carrying out an investigation into the incident. Attacks on police and army personnel and sites have been frequent nationwide since the ouster of Islamist president Mohamed Morsi in summer 2013. Dozens of small bombs have been planted, allegedly by Islamist militants, targeting security locations and guards at civilian institutions. They have also hit economic and industrial installations such as electricity pylons and mobile phone stores. The army had been battling a militant Islamist insurgency in Sinai for a decade, but attacks have intensified in the restive peninsula over the past eighteen months, killing hundreds of security personnel. The government has launched an “anti-terrorism” campaign, arresting hundreds and announcing the death of hundreds of suspected militants. It has also designated certain groups as “terrorist,” including Morsi’s Muslim Brotherhood. Is this the standard deflection from the Muslim brotherhood terrorists? Trust me it has never worked no matter how exotic foreign names you hide behind. Everyone knows who has been attacking the Egyptian army including you and your friends. No need to make a fool of yourself " Jan " .